We are pleased that you are interested in the m-Bee technology. 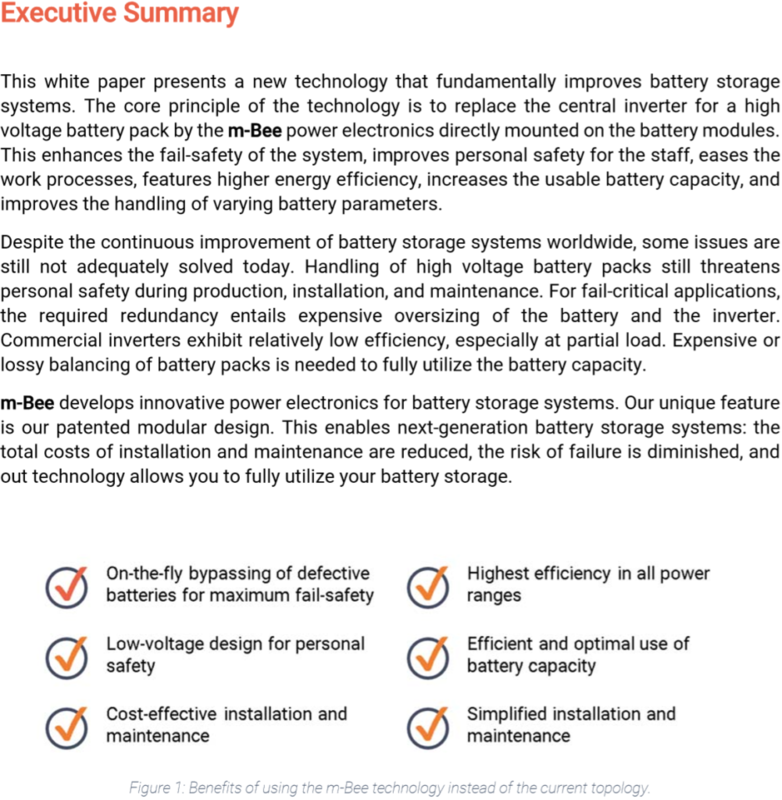 In our whitepaper, we will take a closer look at the technical basics and advantages of m-Bee electronics on six pages. Therefore, we are looking forward to send you a technology whitepaper. Would you rather speak to us personally?